Based on dummy readings in the front and side impact tests, the Scudo scored maximum points for its protection of both the 18 month and 3 year infants. In the frontal test, forward movement of the 3 year dummy, sat in a forward-facing seat, was not excessive. In the side impact, both dummies were properly contained by their restraints, minimising the likelihood of head contacts with the vehicle interior. The front passenger airbag can be disabled to allow a rearward-facing restraint to be used in that seating position. However, information provided to the driver regarding the status of the airbag is not sufficiently clear, and the system was not rewarded. The dangers of using a rearward-facing restraint in that seat without first disabling the airbag are clearly indicated inside the vehicle. 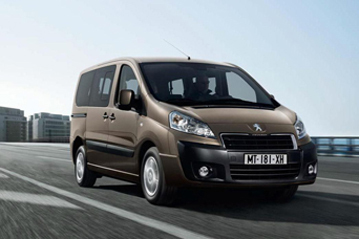 Based on material presented by Peugeot and reviewed by Euro NCAP, the structure, equipment and safety performance of the Expert is identical to that of the FIAT Scudo, on which this assessment is based.